AAI Result 2019: Below are the latest results published by AAI - Airports Authority of India (AAI) / www.aai.aero. The recent result announced by the organization is Junior Executive (HR) 2018 Result 2019. AAI Junior Executive (HR) 2018 Result 2019: Airports Authority of India (AAI) has announced the Result on 19 Mar 2019 for the exam . 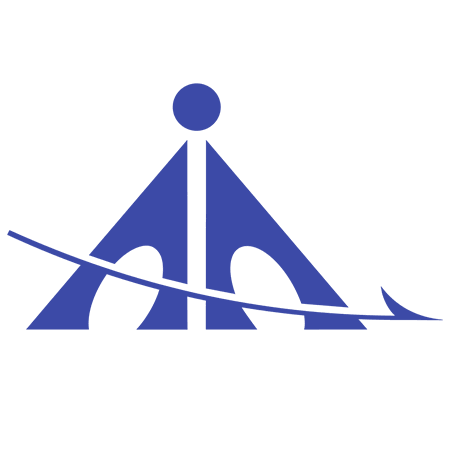 AAI Junior Executive Final Result 2019: Airports Authority of India (AAI) has announced the Result on 12 Mar 2019 for the exam . AAI Junior Executive (Commercial) Final Result 2019: Airports Authority of India (AAI) has announced the Result on 28 Feb 2019 for Junior Executive (Commercial) Test 2018 . AAI Junior Executive (Official Language) Result 2019: Airports Authority of India (AAI) has announced the Result on 20 Feb 2019 for AAI Junior Executive (Official Language) Exam 2018 . AAI Manager (Official Language) Result 2019: Airports Authority of India (AAI) has announced the Result on 20 Feb 2019 for AAI Manager (Official Language) Exam 2018 . AAI Jr Executive Result 2019: Airports Authority of India (AAI) has announced the Result on 16 Jan 2019 for AAI Jr Executive Exam 2019 . AAI Junior Executive (Electronics) Result 2018: Airports Authority of India (AAI) has announced the Result on 28 Aug 2018 for the exam . AAI Junior Executive Result 2018: Airports Authority of India (AAI) has announced the Result on 20 Aug 2018 for the exam . AAI Junior Executive (Architecture) Result 2018: Airports Authority of India (AAI) has announced the Result on 07 Aug 2018 for Junior Executive (Architecture) Exam 2018 . AAI Manager (Airport Operations) Result 2018: Airports Authority of India (AAI) has announced the Result on 31 Jul 2018 and On the basis of online test held on 09.01.2016 and subsequent interviews conducted on 19th to 22nd December. AAI Assistant HR Trade Test Result 2018: Airports Authority of India (AAI) has announced the Result on 17 Jul 2018 for Assistant HR Computerised Based online Test 2018 which was conducted on 28 Jan 2018. AAI Junior Executive (Airport Operations) Result 2018: Airports Authority of India (AAI) has announced the Result on 29 May 2018 for Junior Executive (Airport Operations) Exam 2018 . AAI Junior Assistant (Fire Services) Result 2018 - AAI Western Region: Airports Authority of India (AAI) has announced the Result on 03 May 2018 for Junior Assistant (Fire Services) Exam 2018 . AAI Junior Assistant Result 2018 (Fire Service): Airports Authority of India (AAI) has announced the Result on 24 Apr 2018 for Junior Assistant Exam 2018 which was conducted on 24 Feb 2018. AAI Junior Assistant Fire Result 2018: AAI has announced the Result on 13 Mar 2018 for the exam which was conducted on 28 Jan 2018. AAI has announced the Result on 07 Aug 2017 for the exam which was conducted from 24 Jul 2017 to 01 Aug 2017. AAI has announced the Result on 03 Aug 2017 for the exam . AAI has announced the Result on 29 Jul 2017 for the exam which was conducted on 18 Sep 2016. AAI has announced the Result on 26 Jul 2017 for the exam which was conducted on 04 Jul 2017 to 07 Jul 2017.